And they worked perfectly… huh? Perfectly so I took the camera downstairs got my wife to jump around and sure enough through 3 walls it was working perfectly! mmm outside… perfectly – I was amazed and overwhelmed! It seems they have hardware ack and nak packet checking meaning you don’t have to do a thing and they work right out of the box… after spending weeks on these I cannot recommend them enough! Thank you Ciseco for saving the day and the project (again)!!! 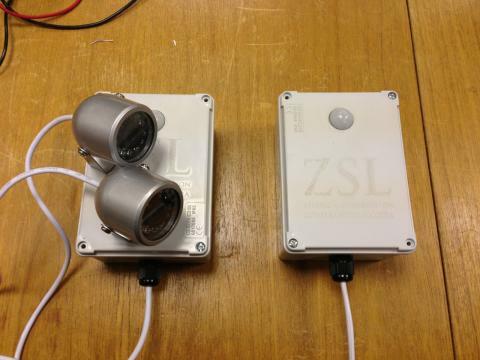 This entry was posted in ZSL - Instant Wild (Eye SPi) and tagged Ciseco, instant wild, London Zoo, zsl. 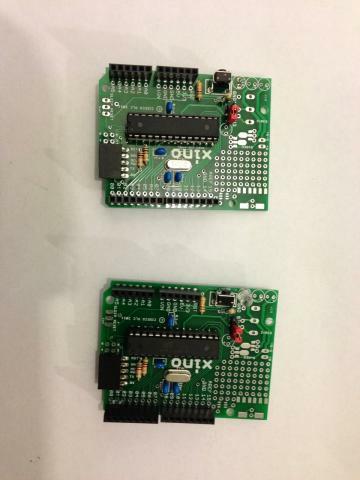 And here we go – my first couple of Xino boards made up! So here we are Xino boards made up, didn’t take long, was fun and worked first time… now I’m made up because they are cheap but very very functional perfect! 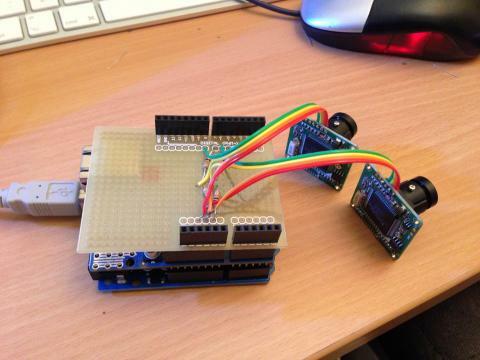 We’ve been prototyping for the Instant Wild project for a while now but buying official Arduino boards and equipment were expensive and really a lot more complex than we needed. 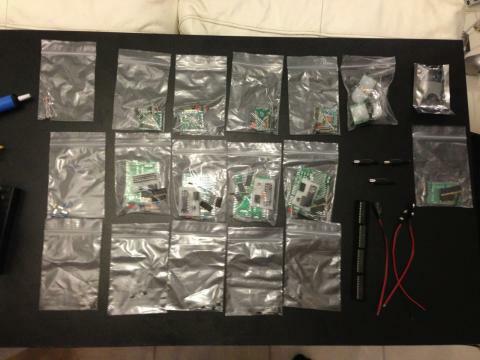 It was time to take advantage of open source hardware and so I found Ciseco’s Xino boards. They are bare bone Uno boards basically consisting of an ATMega 328, regulators and what’s more they also had an XBee break out board that fits straight on which is perfect for our project! But the best part of the whole thing is that it cost about a tenner! That’s about £15-20 shaved off the overall cost of each camera right there – amazing! Another thing caught my eye was the Ciseco RF Radios, of which I ordered 2 (it seems they may well have the cheapest RF Ardunio solution around with a full kit only costing £22?!). I am currently having a nightmare trying to get the Xbees working fast enough without dropping packets of my JPEGs and I’ve been through API mode and even attempting an XModem implementation (they work incredibly well with smaller data, I think the 250k is pushing it)… and too many long nights and an equal amount of sleepless nights… I have my fingers crossed as I hadn’t even thought of trying a different radio until just now! 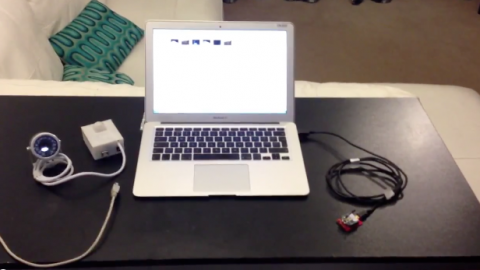 A lot of people seem to have struggled to implement reading multiple serial cameras on Arduino due to the hardware limitations, this is a software solution that uses a pointer to the connection and a listen command to iterate through each cameras “motion detected” state. It seems to work vey well. 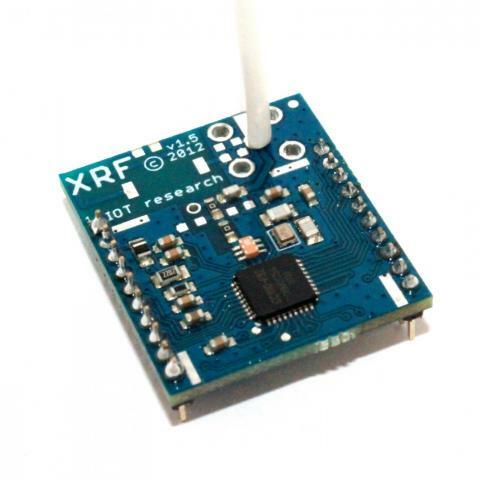 This entry was posted in Micro Electronics, ZSL - Instant Wild (Eye SPi) and tagged arduino, instant wild, Micro Electronics, Micro Electronics arduino, Raspberry Pi, xbee radio, zsl. So here you can see a lot of the components of the previous videos coming together to show the prototype in full working order! There is still a long way to go, but this is a real mile stone in the projects development.